I like the change! It might even leave room for alternative assessments. 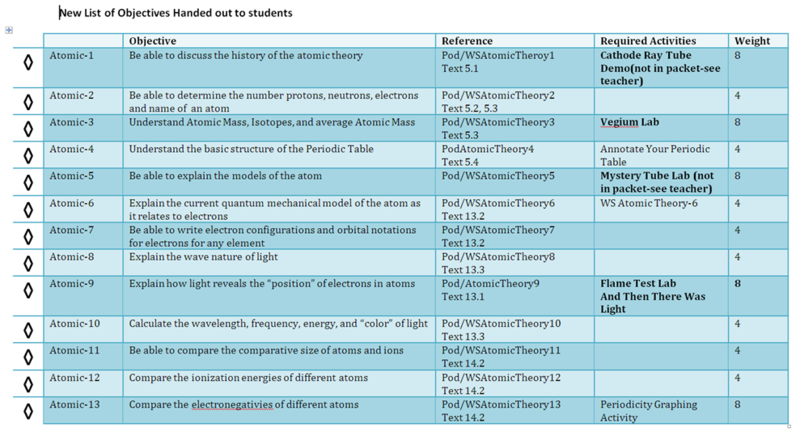 For instance, if the student can find a better way to explain models of the atom than the worksheet, they could do so. That is exactly what we are thinking. We are also trying to come up with more than one lab where students can have choices. Do option one OR option 2, etc. Less clutter is fantastic!! 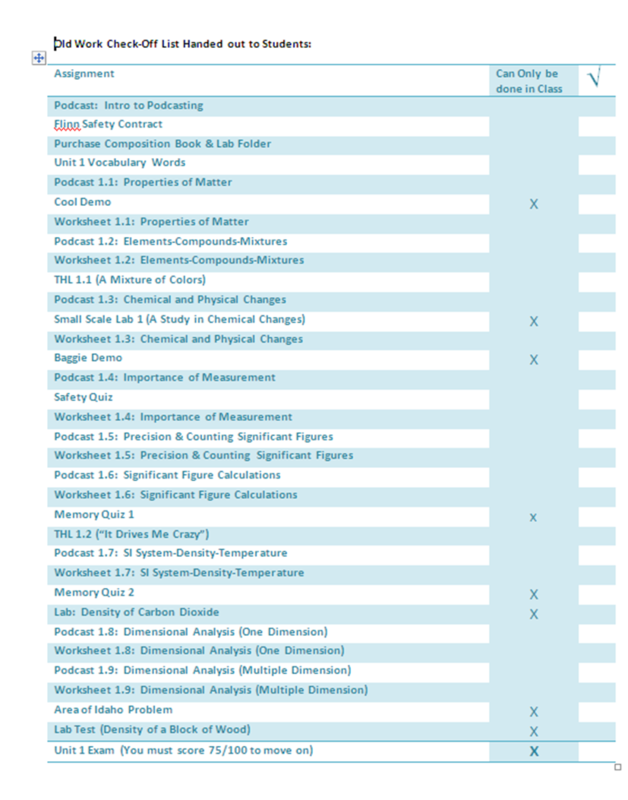 I was wondering though… do you write all those worksheets yourself, or did they come with your textbook? They are a culmination of all of my teaching career. Most were written by me or in collaboration with other teachers through the years. I love the way it is organized. I wonder though, do you grade them differently or is it still more or less a completion checklist as it was before; albeit one where they are much more cognisant of their objectives rather than a to do list. It is still a completion checklist. But they can now demonstrate mastery in more than one way. It used to be I wanted the whole worksheet done. Now: prove to me you know it and then you can move on.